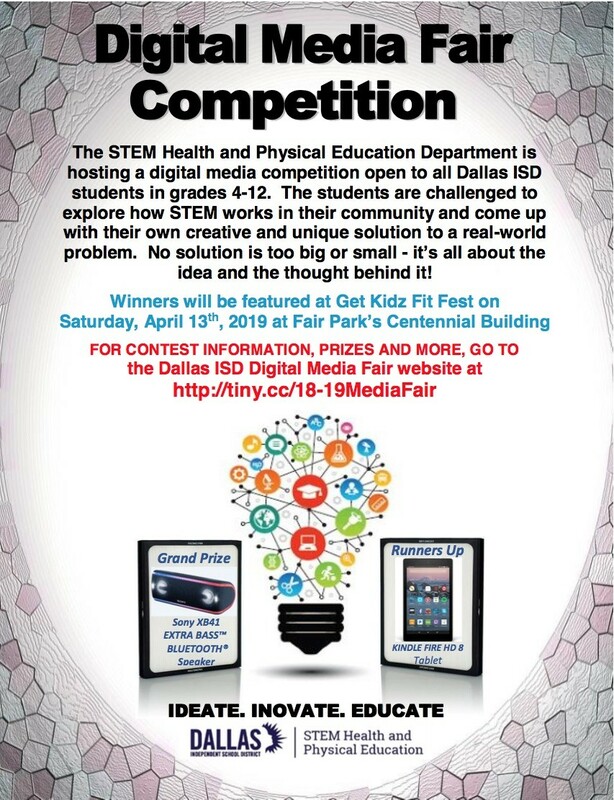 The STEM Health and Physical Education Department is encouraging all 4th – 12th graders in Dallas ISD to participate in the 2019 Digital Media Fair Competition. Together with the department’s Tech Fest, which was held at the STEM Expo in February, the Digital Media Fair provides an opportunity for students to increase their knowledge and understanding of ways they can choose to live a healthy lifestyle utilizing technology and problem solving skills. This year the students are being challenged to explore how STEM works in their community by coming up with their own creative and unique solution to a real-world problem. The competition was inspired by the 3M Young Scientist Challenge, but has been designed specifically for Dallas ISD students. The Digital Media Fair competition which opened on Nov. 1, 2018 will culminate with the winning projects being presented at the Get Kidz Fit Festival on Saturday, April 13 at Fair Park in Dallas. 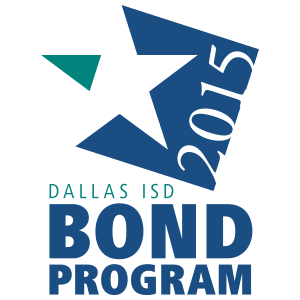 The deadline to submit entries has been extended to Sunday, March 31. For more information about how to compete in the Digital Media Fair, rules, judging, prizes and sample projects please visit the website at: http://tiny.cc/18-19MediaFair.